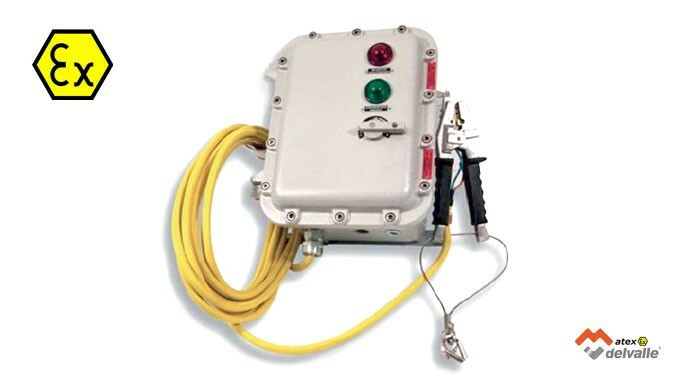 Grounding monitor Groundex Serie, ideal for areas that may be present an explosive atmosphere, electrostatic discharge can trigger a fire or explosion. The transfer of flammable liquids is an operation in which these factors and essential protection measure is usually present grounding of tank trucks, drums, containers and equipment. Suitable for Zones 1, 2, 21 and 22. Body and cover In low copper content aluminium alloy. Connecting clamp complete with 8 meters of cable. 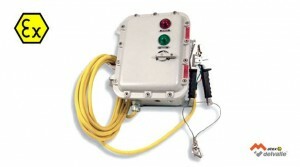 Selector insertion, red “stop” light and green “go” light.